In today’s e-mail. 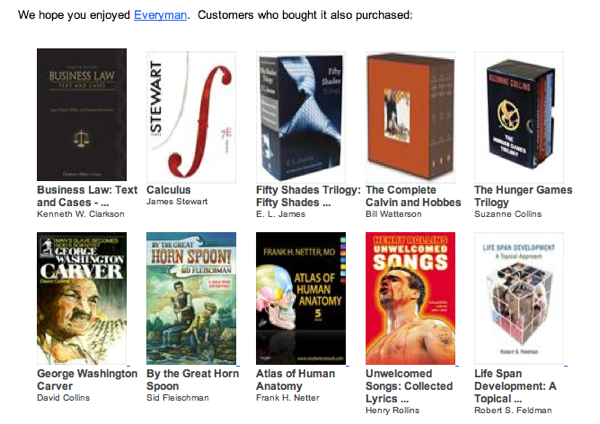 I’ve chosen not to identify the online bookstore behind these recommendations. They’ve suffered enough.